This weekend was a pretty busy one made up of an Awards night with work (where we took home silver for outstanding agency of the year hooray! ), and a short but sweet getaway to meet up with my best friends from uni. However amongst this array of busyness, I managed to make a few purchases which are making me more excited than I was for the last Harry Potter book (just kidding… but they did come close!) – hence the need for a weekend mini haul post. 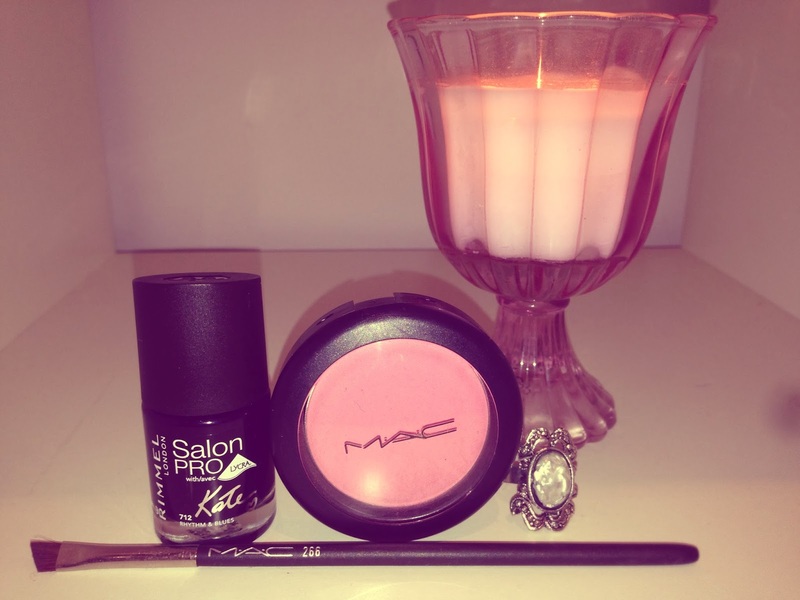 1) The first is the MAC Powder Blush in Pink Swoon. My beautiful Satin Magneta blusher from And Other Stories has sadly nearly reached the end of it’s life so I have been after a replacement for a while. I decided to try a slightly darker shade of Pink for the winter which is where Pink Swoon comes in. I am not very adventurous with my choice of blusher seeming to stick to a hard pink powder rule… but like they say if it’s not broke don’t fix it! 2) My second MAC purchase of the weekend was the 266 Small Angle brush. I have never felt like I have quite mastered the art of beautiful brows so I bought this new weapon to add too my armoury, hoping that it will help me in my quest – so far so good! I think I have decided that you can get away with a more budget eyeshadow for the brows if you invest in a really good brush. 3) Thirdly, while strolling through the centre of Oxford, the girls and I happened to stumble across a vintage fair and who can resist having a good rummage through some vintage treasures?! I showed a lot of self restraint and passed on the beautiful silvery velvet skirt and only picked up this stunning gemstone ring for a bargain £4! I did even try to haggle to get 2 for £5 but I failed miserably. (If anyone has any haggling tips throw them my way). 4) Last and by absolutely no means least was possibly my favourite purchase of the weekend, my Rimmel Salon Pro Kate Moss polish in 712 Rhythm and Blues. Navy polish had never really been on my radar until I read Suzie’s post over on Hello October, which gave me serious nail envy! Since then I have been trying to track down my perfect shade of blue and Rimmel nailed it with this rich luxurious shade. Two coats of this gives you the perfect “so dark blue it’s almost black” shade which works like a dream with the cream and camel shades that are so in this season. Have you made any new dream purchases or stumbled across any old vintage finds lately?